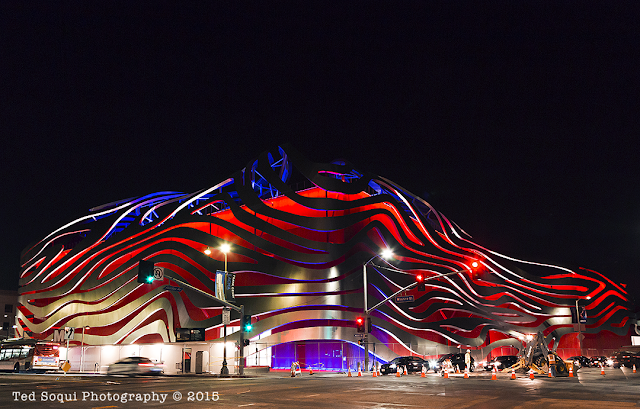 The newly remodeled Petersen Automotive Museum @ Fairfax Ave and Wilshire Blvd. is lit up at night in the national tri-colors of France. It is an amazing building to see day or evening.